The Power Saving Mode setting under Wireless Adapter Settings in Power Options allows you to control the power saving mode of wireless adapters. 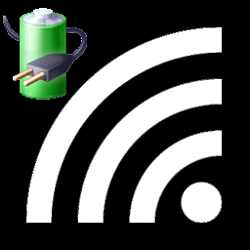 The strength and performance of your wireless network will decrease as you increase power savings, but your battery life will increase. Maximum Performance Achieve maximum wireless performance and no power savings. Low Power Saving Achieve minimum power savings. Medium Power Saving Balance between performance and power savings based on network traffic. Maximum Power Saving Achieve maximum power savings. This tutorial will show you how to change the power saving mode of wireless adapters in your active power plan in Windows 10. This setting will affect all users that use the same active power plan scheme. 1. Open your advanced power plan settings. If your PC has a wireless adapter and you do not have the Wireless Adapter Settings power option, then you can add it using the tutorial linked below.